SOUNDFRONT AVEC 20 'DÉBARCADÈRE! Cette confortablement meublées, les animaux de compagnie 3 chambres, 2. 5 salles de bains niveau supérieur condo offre une vue sonores et spectaculaires sur l'océan! La grande cuisine / salle à manger / salon ouvre à porche couvert face au bruit - un endroit idéal pour assister à des couchers de soleil! Toutes les chambres et salles de bains sont à ce niveau. Un escalier mène à un nid d'corbeau clos offrant une escapade confortable coin salon avec panoramique sur l'océan et des vues sonores. Les plus petits pourront jouer et nager à la plage de sable avant son à marée basse. Idéalement situé à proximité d'un accès à la plage et le blocus Runner Hôtel. Il y a un ascenseur pour votre commodité du garage à l'espace de vie principal. Un grand parking. Animal accepté avec tarif pour les animaux non remboursable. Occupation: 6. Interdiction de fumer. La terrasse sur le toit n'est pas incluse dans la location. We stayed for 6 weeks to get out of the cold in Canada. The condo was great. Excellent location. Thank you for your review Elizabeth, we hope to see you next time. We have stayed at Cody several times and have always enjoyed the location and unit. The dock is in severe disrepair- was actually unsafe to walk on. The furniture is very outdated and needs replacing/upgrading. One of the eyes on the stove is inoperable (the last several times we rented cody). The unit was clean and is in a perfect location. Hopefully these things will get repaired and we will consider staying again. Scott, We sincerely appreciate your feedback and are happy to hear you enjoyed the location of this unit. Unfortunately, the dock was damaged by the previous renter; this has been repaired and we apologize for any inconvenience. We will pass your concerns and suggestions to the owners and work with them to enhance the property. They may be open to make a few updates to the home to better suit renters. We appreciate you taking the time to let us know about your experience and hope to see you next summer! Great location,terrific view, biggest plus was that it was pet friendly. Not so great was the noisiest dishwasher on the planet, a broken child gate on the upper deck, furnishings need replacing and incomplete window trim work. Despite that, we had a great time and will probably do it again next year. 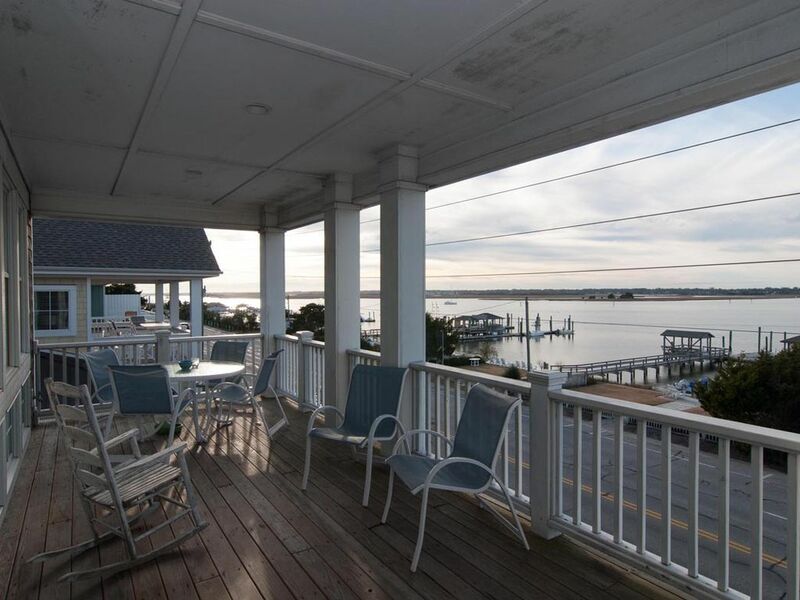 Kenneth, We are glad to hear that you enjoyed the location and view that this property offers! We will reach out to the owner regarding the window trim, as they have recently renovated this home. We apologize that the dishwasher was noisy and will happily have one of our maintenance technicians attend to this, as well as the gate you have mentioned. Thank you for choosing Bryant Real Estate and providing us with this feedback. We look forward to seeing you again next year! We had a wonderful time and the place was in great condition, kitchen well equipped, everything was clean. Happy to see a comfy dog bed for my daughters dog.Locatation was ideal. Everything was great. I would have the cleaning company lifts rugs and clean better as well as the counters. On the master bed, the comforter had dog hair on it and we did not use the whole trip. It should have been washed having this much hair on it. The unit was freshly painted with brand new mattresses in every bedroom. The deck over looking the sound could not be beat.